Senior Analyst Daniel O'Brien of Forrester Research says the time has come for local TV to extend their programming and promotion before the opportunities vanish. "Local TV stations are losing news-audience share, ad revenues, and exclusive network content." O'Brien believes that new FCC ownership regulations will prompt a frenzy of mergers, swaps, and acquisitions over the next three years. So the answer is to reconnect with local news audiences by collaborating with newspapers to cross-promote their headlines, share content liberally, and strive for all-day relevance. In addition to the print coverage, deals with cable operators are also necessary for stations because of their strong distribution channels. Additionally, the Web provides broadcasters with an unprecedented opportunity to connect with audiences, particularly at work, and to provide new marketing opportunities for local advertisers. These mutually beneficial partnerships can be based on barter, and once a joint venture is in place, competitors are locked out. Yoram Wind says wealth is created during periods of uncertainty, and making money depends on identifying opportunities in a turbulent marketplace. Wind is a professor of marketing at the Wharton School of Finance. According to Wind we should think of the world right now as one magnificent fire sale, where there are huge opportunities to buy cheap assets, i.e. technology or talent for very little money. The fundamental challenge is to ask: What do we do, and why do we do it? Doing something because it worked in the past isn't going to get it for the future. Wind says unlearning is needed today, and the CEO should be the chief unlearning officer! The key is experimentation, it allows you to learn really fast. It forces you to continually reexamine strategy, because you're constantly measuring your experiments. Experiment, measure, modify, and react...it's a powerful way of learning. The growing concern about the growth of the commercial barter industry might think a bit about what it takes for growth...ubiquitous marketing efforts for one thing. Maybe the industry should consider the results of the untiring efforts of the credit-card industry. Despite the economic shock of the September terrorist attacks and the anxiety created by anthrax in the mail, the U.S. credit-card industry stuffed a record five billion solicitations into the nation's mail boxes in 2001, up 43% from the year before! The response rate to their solicitations remained the same as in 2000, around 1/2 of 1% (0.6% to be exact). In short, maybe it's time for our industry to look at "longer term" investments for obtaining new clients. Where Are They Now. . .
Karl Stout, past publisher and owner of Air Destinations magazine (Aspen Airways before they became a subsidiary of UAL) has recently moved to Miami. Stout also once had a BXI brokerage in Denver, and offered a lot of great hotel accommodations and restaurants in Aspen--acquired through trades with his magazine. Stout will be coordinating and increasing the trade efforts of BXI members in Southern Florida, according to Larry Whitten, new area sales director. Refvik, along with Cristen Parks often accompanied Don when attending IRTA and NATE conferences. Refvik also wrote an article in BarterNews' issue #51 about the Mid-Continent International Trade Corridor, a conceptual trade and travel route linking the mid-continent regions of Canada, the United States, and Mexico. In Seattle, Bob Bagga and Chris Haddawy have joined forces to get back into the business...opening BizXchange. Ably assisting them is Barbara Ryan Galpin, formally with Ubarter. Bagga, co-founder of Barter Business Exchange of Toronto had sold BBE to Steve White of Ubarter. Haddawy had worked for Steve Goldbloom at Bay Area Barter in San Francisco, then went out on his own to form Barter Business Network of Reno. Subsequently he was part of history when he, along with Ray Bastarache of Barter Network and Susan Groenwald of BarterCorp, sold his exchange in 1999 to Inbar, a privately held company funded by several venture capital firms. The three trade exchanges were subsequently named BarterTrust, later becoming Tradaq. Rick Owens Pehnert, a veteran in the industry who's had both ITEX and BXI brokerages (most recently BXI of San Francisco which he sold back to BXI Corporate last year), has now moved to Florida to team up with former BXI-Florida area director Mike Hoffman in the establishment of Corporate Exchange Corp. There are 19 barter currencies. Trade dollars being one of those. How many can you name? If you can't name them, you can't use them! 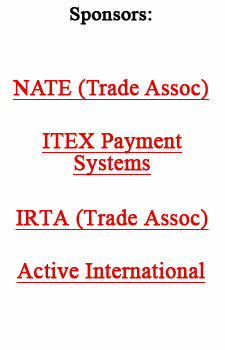 On page 64 of our FastStart Barter Program I, all are listed, as well as their "hard" and "soft" values. Possibilities for acquiring space in magazines on trade continue to be abundant as ad pages continue to decline...falling 10% last month, according to the Magazine Publishers of America. Ad pages were down 12% in 2001 so their is improvement, but opportunities still abound for the ambitious to put together some great barter deals. Interested in reaching the entire barter marketplace? May 15 is the date all ads for the coming issue of BarterNews must be in. Go to "Advertising" on web page, www.barternews.com, or call Bob Meyer at (949) 831-0607. Merchants Barter Exchange of Union (NJ) was acquired by TTI Holdings of America. MBE president Steven Bolles says the influx of capital and additional professional management will enable the company to expand and meet its goal of 42 franchise sales offices in forty-two states by the end of 2003. Accounting issues always arise more frequently when the stock market is down, but Edmund L. Jenkins, chairman of FASB (Financial Accounting Standards Board) which writes bookkeeping rules, says the recent wave of accounting issues is the most he has seen in his 45 years of experience. Jenkins believes investigations are healthy for the markets, because it will spur greater openness or "transparency." Yes, the speed of technology played a major role in eroding the value of companies in the fiber-optic communications business. Couple the innovation with huge borrowing to build the networks, and enormous problems surfaced. It was the dense wave-length division multiplexing (DWDM), which was deployed during the latter half of the 1990s, that vastly increased the capacity of each fiber strand--it was like turning a single-lane road into a 160-lane highway! When the broadband networks used debt, rather than stock, to finance their business they found that the technology/innovation altered the economics of the business much faster than the debt could be repaid, and the crushing interest payments put them under. Attention trade exchange owners! Knowledge and education about a subject are always a pre-requisite to taking action...especially sustained action. If you expect your members to be active traders, and are perplexed when they aren't, there's a good reason. You have neglected to provide the necessary "education" about the many benefits of barter. Admittedly, most exchanges are deficient in this important area because it takes a substantial amount of time, effort, and ability to provide such information on a regular basis. However, there is an easy and inexpensive answer to the problem... purchase The Competitive Edge newsletter. It's a camera-ready, 4-page, professionally written, informational marketing tool...available in PDF format as well as print. Written especially for trade exchange owners, it will be the best investment you ever make. For more information about The Competitive Edge, and how it can benefit you, contact Bob Meyer at bmeyer@barternews.com or call 949.831.0607 (PST). ADI: Area of dominant influence. This describes the part of an advertising spot market that is most dominant with respect to consumer spending within a market. Most ratings are calculated within the ADI. Affidavits of performance: The official affidavit from media indicating exactly what advertisement ran, and at what date and time. This is used as the official proof of performance.